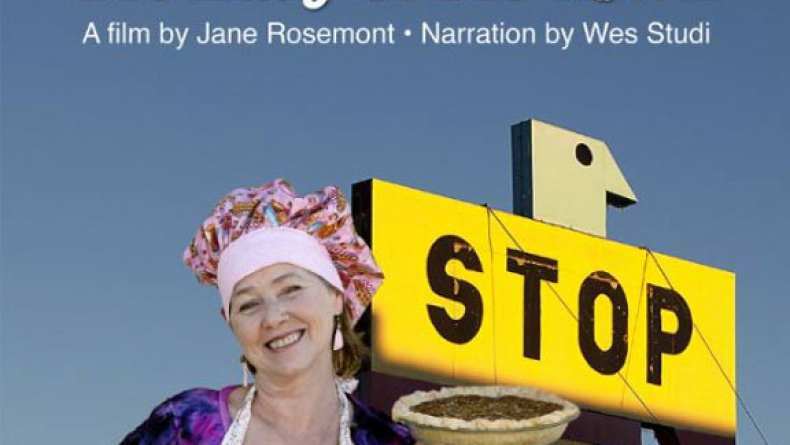 Trailer for the documentary Pie Lady of Pie Town. Pie Town came upon its name in the 1920s when the area was a cattle driveway. Cowboys needed sustenance, someone made pies, and not much has changed since. So why did Kathy Knapp leave her charmed life in Dallas to bake pie in a dusty town with no traffic light, no gas station? The film chronicles the history of the area, and Kathy's place in its distinction. We become privy to her resolve, her heartache, the subsequent healing, and how for her pie is a vehicle for love and peace. Welcome to Pie Town, New Mexico. The name is no joke.